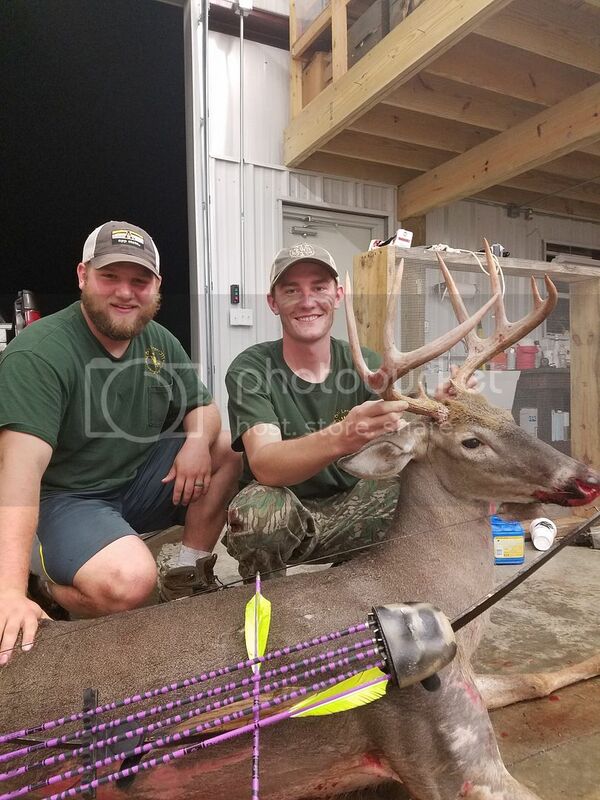 Here are some pics from what has been a great start to our season here in NC. Even with crazy high temps, and a bumper crop of acorns we have still had the best start we've ever had. Here is my 8 named "Shorty", taken the 3rd day of the season. I used my Omega Imperial #40@28(42 at my 29" draw) Gold Tip Blems, and Woodsman heads. 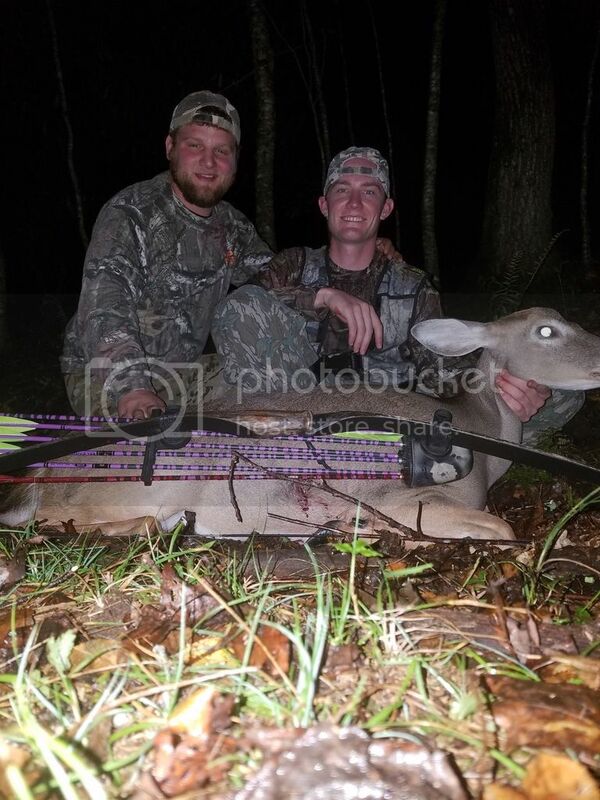 Here is Ethan's buck named "No Brows", he dreamed of this buck all summer and got his chance on opening evening. The Omega Native did its work and put him down quick. Bow is 40@28 (Also 42 at his 29"draw) with Gold Tip bleams and a Woodsman head. 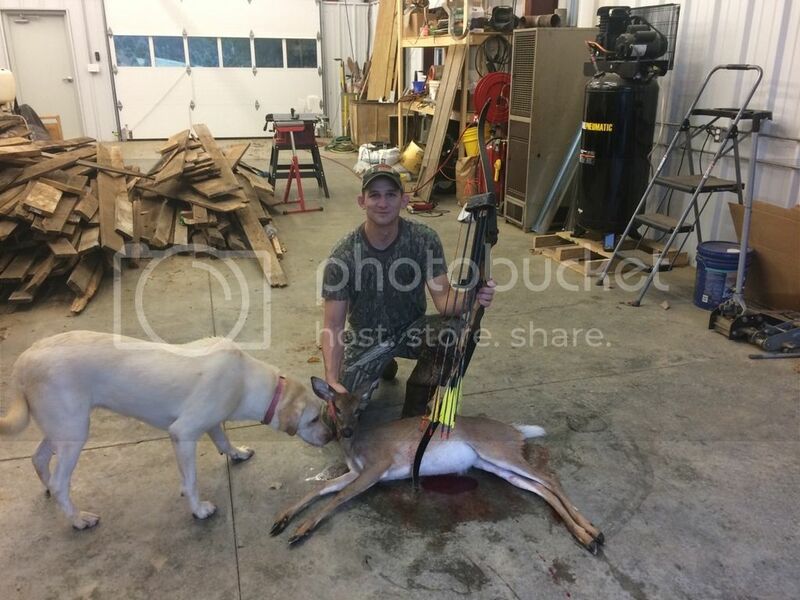 And last but certainly not least, my best friend since i was a little boy, Aaron has taken a strong liking to traditional archery as well, and connected on this small doe Monday evening. 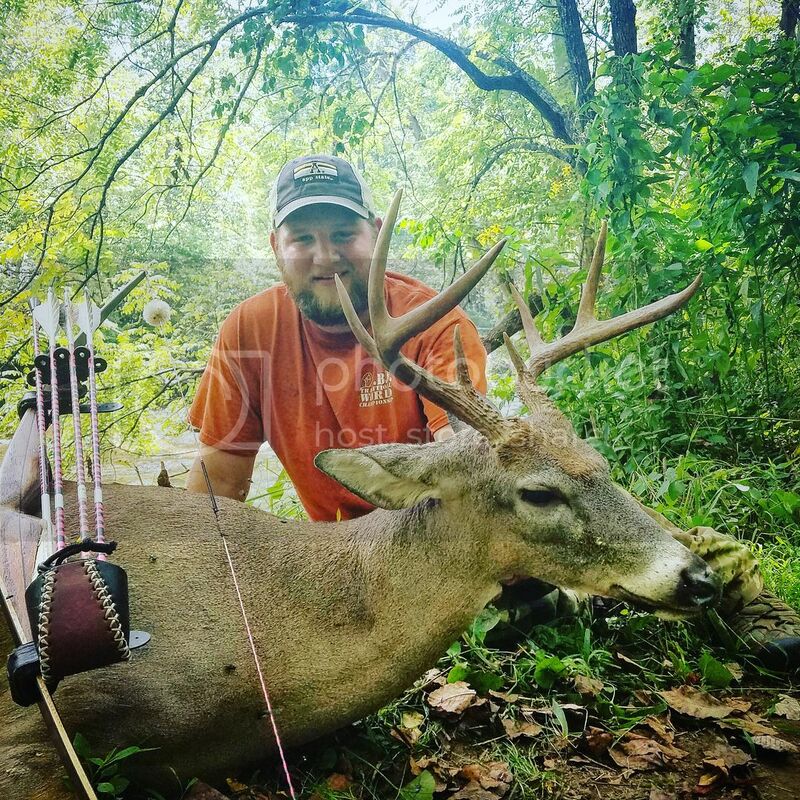 He has killed many great deer, and some downright big deer with his wheelie bow in the past but said that little doe with a stickbow had him "shaking like crazy, i was so pumped!" 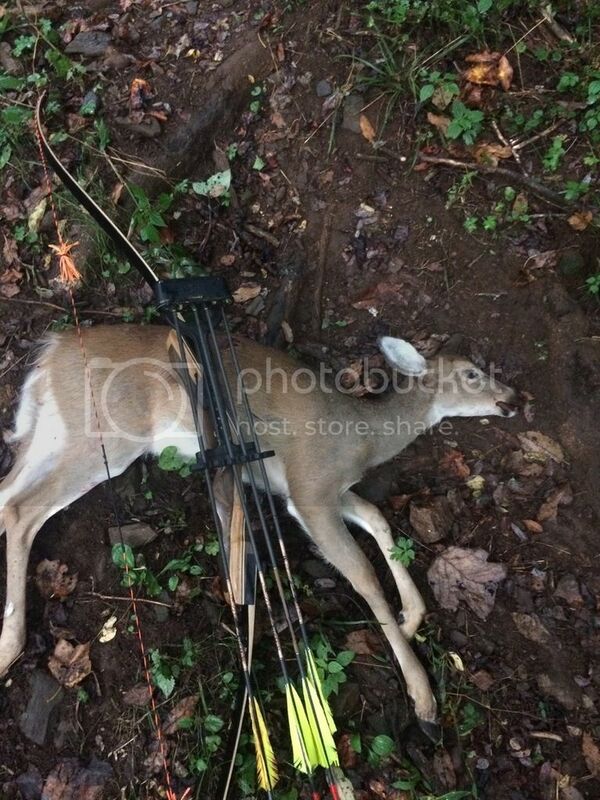 He was using his Samick Sage #45@28, Beman Bowhunter arrows and some sort of 3blade broadhead. Ethan and his Native added another mark to the tally yesterday evening. 10 yard shot, 100 yard recovery. Hope you guys have a great fall! Best time of the year! Man, id hate to be any kind of critter in y'alls neck of the woods! Way to go guys!! Wow lots of meat in the freezer. Congrats !